Fertilising is your lawn’s first line of defence against the harsh elements. Your lawn needs regular maintenance to stay strong and healthy. There are many types of fertilising products and it’s crucial you choose the right one based on the type of grass, soil and weather conditions. If not done correctly, you could permanently damage the soil or rapidly accelerate the growth rate. Want to enjoy a strong, vibrant and healthy lawn all year round? Talk to Dual Group about your lawn maintenance needs. We can create a custom treatment plan to suit your individual circumstances. Your lawn deserves the highest level of care. 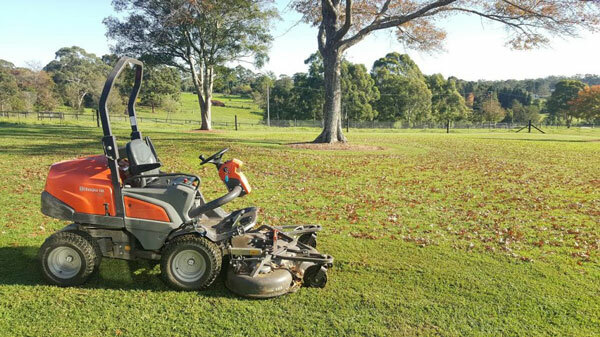 Dual Group offers you more than just another ‘Mow, blow and go’ fertilising service in Sydney. You get hands-on support from lawn care specialists who take the time to understand your specific needs. Whether you’re a homeowner, business owner or strata property manager, you get a complete lawn management and fertilising service. Our lawn fertilising is offered at no-risk to you. That’s right, there are no lock-in contracts or agreements. If you’re not 100% thrilled with the quality of your lawn, you can simply walk away – no hard feelings. As your premium lawn fertilising service in Sydney, you get personal advice on how to best maintain your lawn. Of course, if you don’t have the time or patience to do this yourself – we can arrange a fortnightly, monthly, or bi-annual fertilising service to suit your schedule. Call us on 1300 30 35 39 or send your enquiry to arrange a property inspection with a fertilising specialist in Sydney.